There are some HOT Gift Card Deals going on at Target this week! 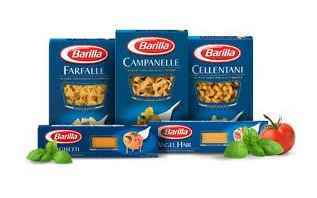 One of my favorites was the Deal on Barilla Pasta, Pace Salsa, Old El Paso Products & Ragu Sauce. All of these items are included in the same Buy 10 Get a $5 Target Gift Card and it makes for some nice prices on these products. I’ve listed each of the offers separately so you can see the prices individually but remember you can mix and match these items! Like Paying $0.69 per box with No Coupons Needed!!! Like Paying $1.03 per jar after 1 Target Coupon on 10 Bottles! Less if you only buy 2 Jars! Pay as little as $0.69 each with No Coupons Needed!